This is a very hands on workshop which requires a non-computer room. Students learn how to cable a network using Cat5 cable & RJ45 Plugs. 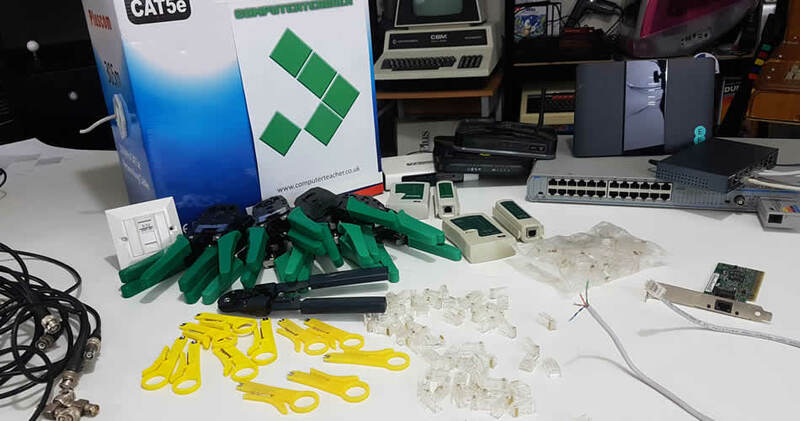 Once their cables are crimped and tested they build a star network & then explore the world of network addressing using the provided Linux Laptops. Students gain a much better understanding of networking theory if they get a chance to build their own network. Students get the opportunity to manufacture & test their own network cable & then use it to make a small star network with their group. Using some LINUX commands and Python programming, they then begin investigation the world of I.P. and M.A.C. addresses and send packets of data to each other.